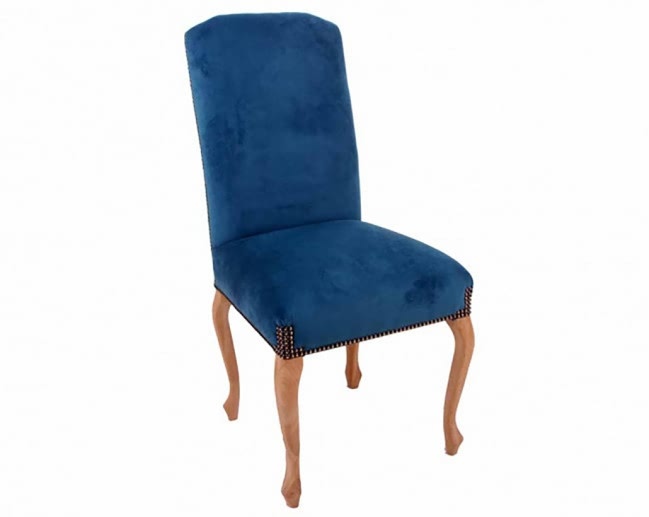 Elegant and Stylish Dining chair using traditional design incorporating modern technics. The Chair frame is built to a very strong standard. The frame is manufactured using Solid Oak Hardwood. The wood is then lacquered using special lacquer giving a Waxed effect finish. 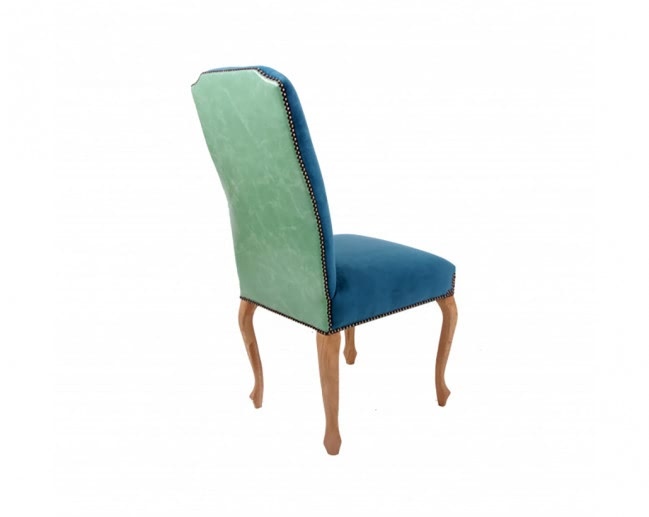 Upholstered using plush Velvet to the front of the chair and a Green Coloured Genuine Real Leather to the Outback of the chair using a very high class leather. Small sample fabric swatch can be sent out to genuine customers wishing to check fabric and colours in the comfort of your own home dining room. The chairs are Unique and individual. This chair is manufactured using the best quality Oak. It is made using the strong technics our Contract Dining Chair world to give our Lifestore and Home Customers comfort that this chair will stand the test of time in their stylish dining room. 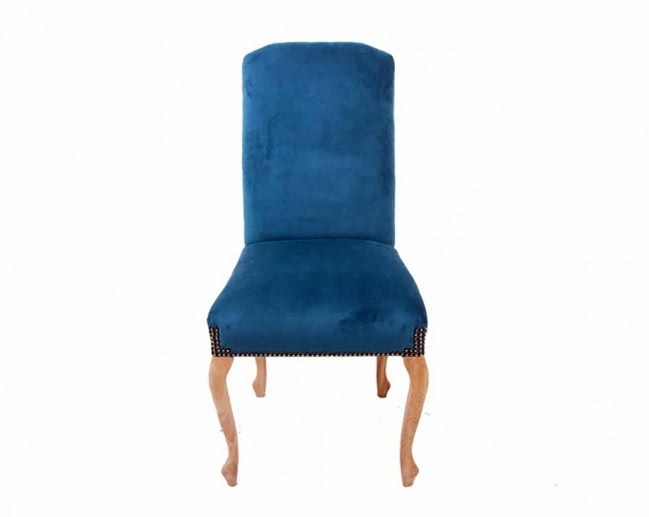 The chair has a high pile Velvet fabric to the seat and inside back, with real Genuine High Grade Real Leather to the Outback of the Dining chairs. 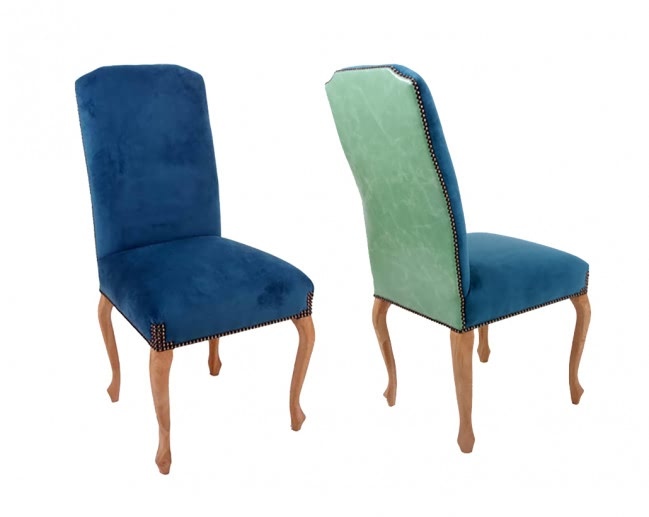 The high back stylish Dining chairs have a classic studding detail to the front legs and back which compliments the design of this chair. The finish on the Queen Ann style legs to both front and back legs is a Special Laquered finish applied in our factory here in Norfolk giving a Wax effect look to the chairs which enhances the beauty of the real oak legs. 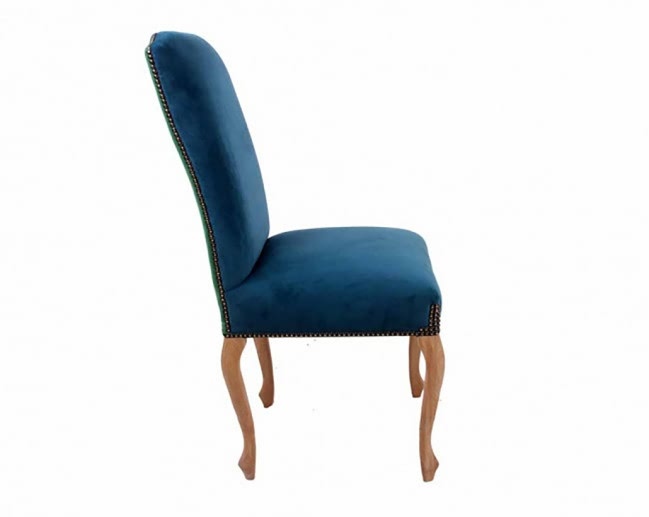 This chair will work in Classic Styled property's and also feel right at home in Modern Contemporary buildings.